Our Destiny 2 Last Wish raid guide explains how to unlock the raid, raid requirements and walkthroughs Kalli, Shuro Chi, Morgeth and Riven. With the release of Destiny 2's Forsaken DLC comes a new raid. Or to be precise, easily the toughest day one raid Bungie's ever produced. Not only are the power level requirements sky high, but there are many, many encounters which can spell real trouble for even the most hardened raid veterans. Named The Last Wish, this raid encounter tasks you with entering the depths of the Dreaming City and stealing the heart of a mysterious evil force named Riven for Queen Mara. It wraps up the storyline of Forsaken and it's certainly something you'll want to tackle if you're a sucker for the lore within the Destiny universe. In our Last Wish guide, we've pulled together all of the information that's currently known about the new raid, and it will be expanded upon considerably once the raid itself has gone live in the game. In our Last Wish guide we've pulled together a number of community resources and walkthroughs which'll help you beat all of the encounters, as well as providing some advice on preparing for the raid itself. Before you even consider getting stuck into the Last Wish Raid you'll want to double check your power level's even up to the task. You'll want to be around 540+ for the first, but almost certainly 550-580+ for the latter stages. Of course you'll also want a nice mix of classes. The Warlock's healing wells are extremely useful and both Hunters and Titans should focus on Supers and abilities that can clear waves with ease or deal huge burst damage. Weapons wise you'll want some strong weapons like Sleeper Simulant, Whisper of the Worm and the IKELOS Shotgun. That's not to say that other weapons are off the cards, but these three are particularly good for dealing decent damage to both bosses and mobs so it's worth trying to get your hands on at least one or two of them! Datto's put together a great walkthrough on how to beat Kalli, the Corrupted so do make sure you check it out and give it a thumbs up and consider subscribing if you found it helpful. Get up close and personal at your own peril as she'll do a ground slam which'll either insta-kill you or knock you away and prevent you from dealing damage. Long range weapons are best for dealing damage to Kalli, but make sure you aim for the head as it'll shred her health bar much faster. Orpheus Rig Hunter's are great for clearing mobs, especially the Psions waiting for you outside the safe rooms. Again, Datto's provided a comprehensive walkthrough on how to beat Shuro Chi which we've linked down below. It's in-depth, but not too long and even details what Supers and weapons will make this encounter easier. It's a wild goose chase, so boss killing weapons are necessary to deal burst damage for each damage phase. Members of your team will need Solar weapons or Supers to destroy the Solar shields. Killing enemies quickly is crucial. The third encounter of Last Wish and one that's all about bursting down the boss as much as possible. Offensive Supers are the key here! Datto's guide is a must-watch and we've linked it down below. Keep track of your Taken Strength stacks as it's pivotal to success in this encounter. The last three encounters are all summed up nicely by KackisHD (he also covers everything else too, which is well worth a watch) and we certainly couldn't do a better job of explaining all the steps to finishing these stages and finishing the Raid. Skip to 33:14 if you're after the final three encounters. Again, make sure you give the video a thumbs up and consider subscribing if you found it helpful! The Last Wish raid will be released for Destiny 2 on Friday 14th September 2018. This ensures that everyone has had a chance to gear up appropriately before getting stuck into the raid, and sample the rest of the DLC before frantically focus on the game's biggest challenge. The Last Wish raid is located in an area of the game known as the Dreaming City. Complete the Forsaken main campaign. Complete the Awoken Talisman quests. See our Awoken Talisman guide for a full walkthrough of this process. 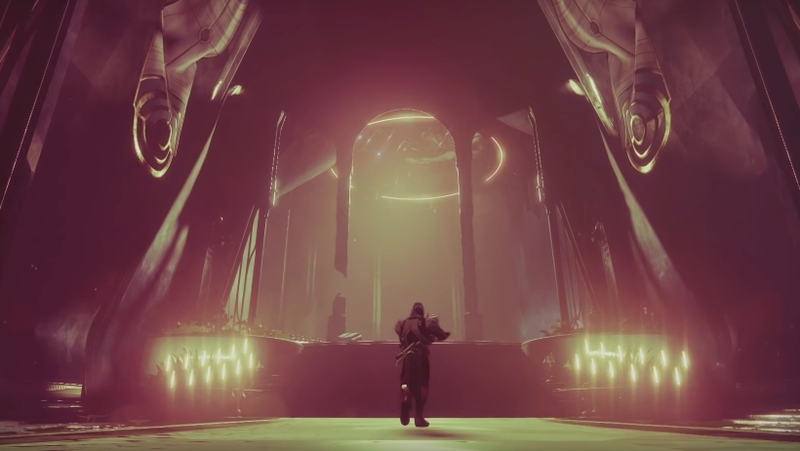 In the build-up to the release of the Forsaken DLC, Bungie released a video all about the Dreaming City.